LOCATION: Approximately 180 miles southwest of Midland/Odessa and 200 miles southeast of El Paso. Magnetic Declination is 10 degrees East. MAY CLIMATE: 88.3 F degrees (Average Daily Max), 58.6 F degrees (Average Daily Min), 0.9″ rain/month. May nights are often cold, be sure to bring warm clothes. ACTIVITIES: Obviously, you’re going for the stars, but there are plenty of daytime activities, including these sightseeing suggestions. The nearest airports are at Midland/Odessa and El Paso, serviced by American, Delta, Southwest, and United. Alpine has an airport with irregular commuter airline service. The Prude Ranch is located on State Highway 118, five miles North from the intersection of SH118 and SH 17 at Fort Davis. 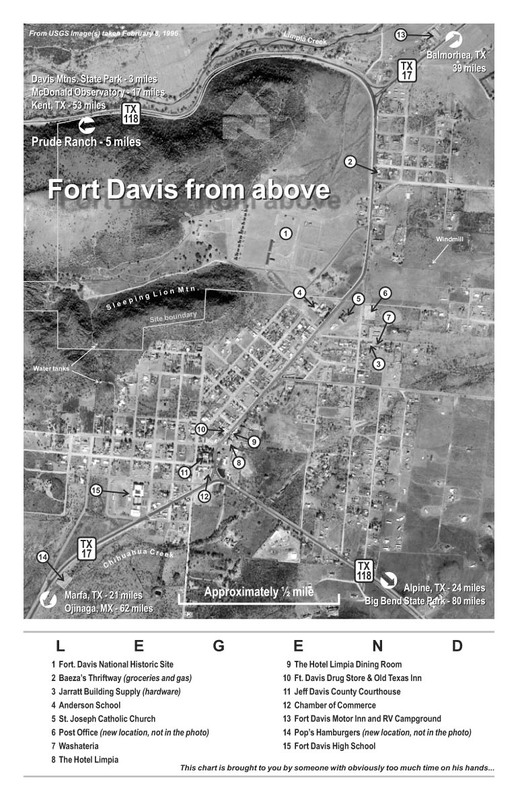 You will pass the Davis Mountains State Park on the left when coming from Fort Davis. The Prude Ranch is a mile or two farther on the right on SH 118. If you approach Prude Ranch from the west (Kent or Valentine TX), you will first pass McDonald Observatory on the left along SH 118. Prude Ranch is on the left after another 9-10 miles. If you pass the State Park on the right, you have gone 1 mile too far. 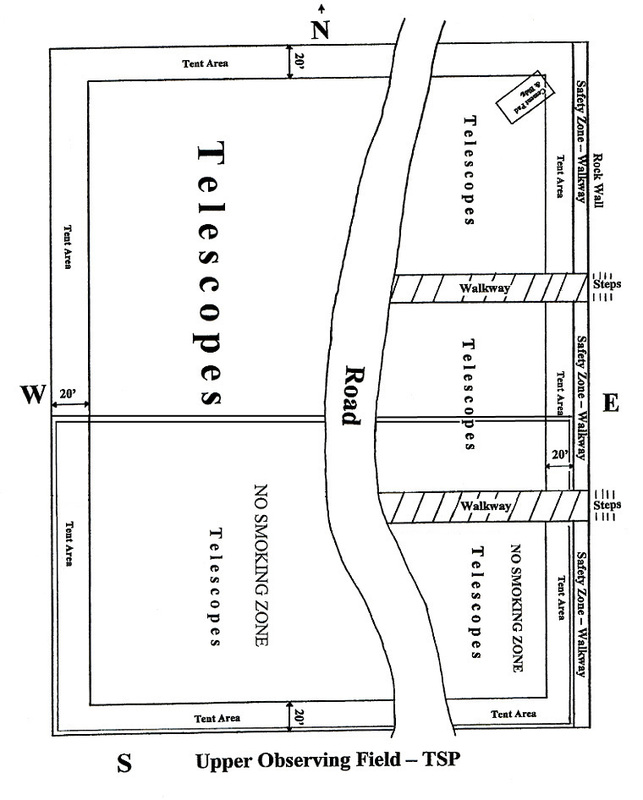 Plan your trip to arrive at the ranch WELL BEFORE DARK, if you are staying on the Ranch or intend on setting up a telescope. Once you arrive at Prude Ranch, there is one main entrance. You may be stopped at the front gate, for TSP identification. 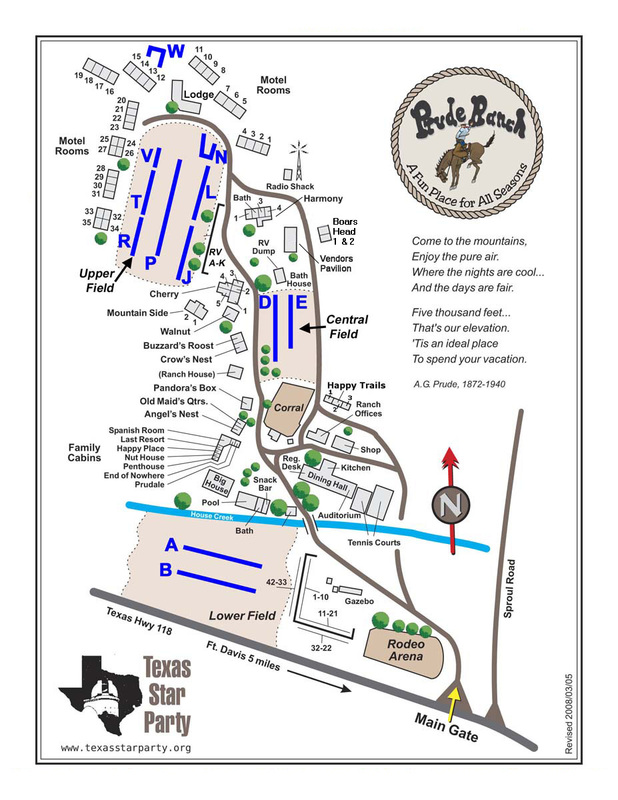 The first place you will go is to the Ranch Office, located in the central compound (1/4 mile drive from the main gate). This will be to check-in, get a site map, make payment, and sign your Liability Release Form . The Dining Hall is adjacent to the Ranch Office. The TSP Meeting Hall (and TSP Registration) are located behind the Dining Hall. 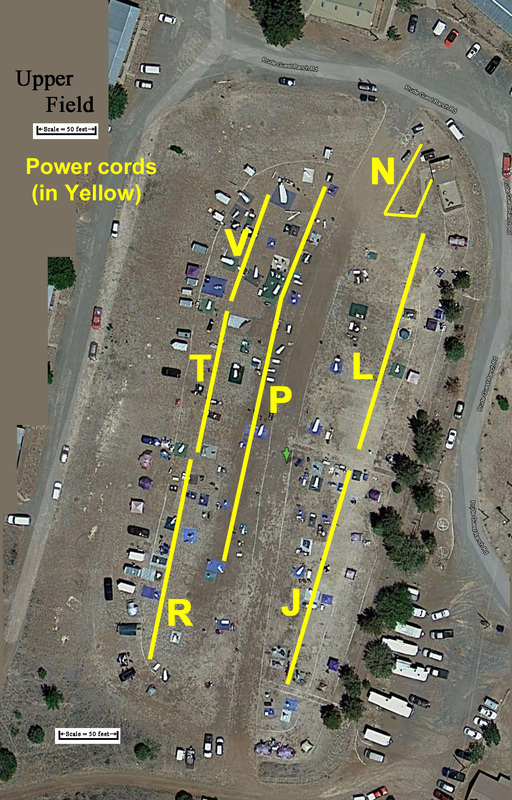 TSP Vendors are located in a separate building located at the far north end of the Ranch. The TSP Radio and Staff building is located next to the tall radio antenna tower. NOTE: TSP Registration is SEPARATE from any Ranch Check-in that you may do. Be sure to stop by the TSP Registration desk in the meeting hall (limited hours) to pick up important TSP “stuff”! View the TSP Orientation videos! Photos from TSP! and… Great videos for a complete “feel of TSP”! 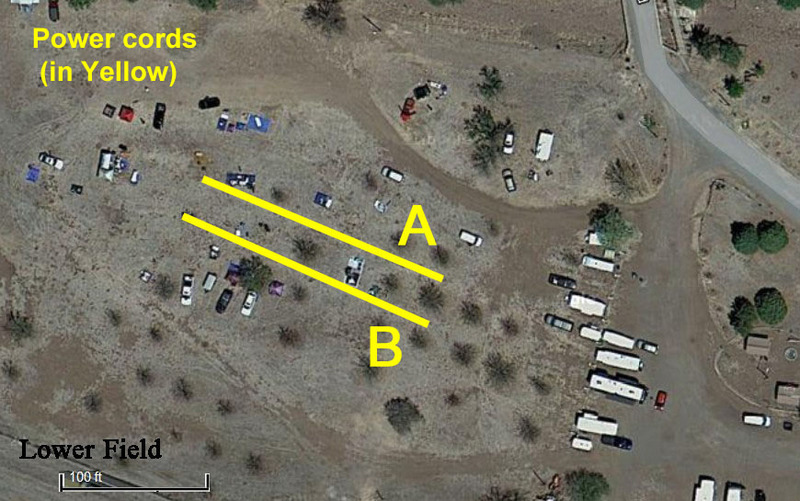 Diagram of the Upper field, showing camping and setup guidelines. 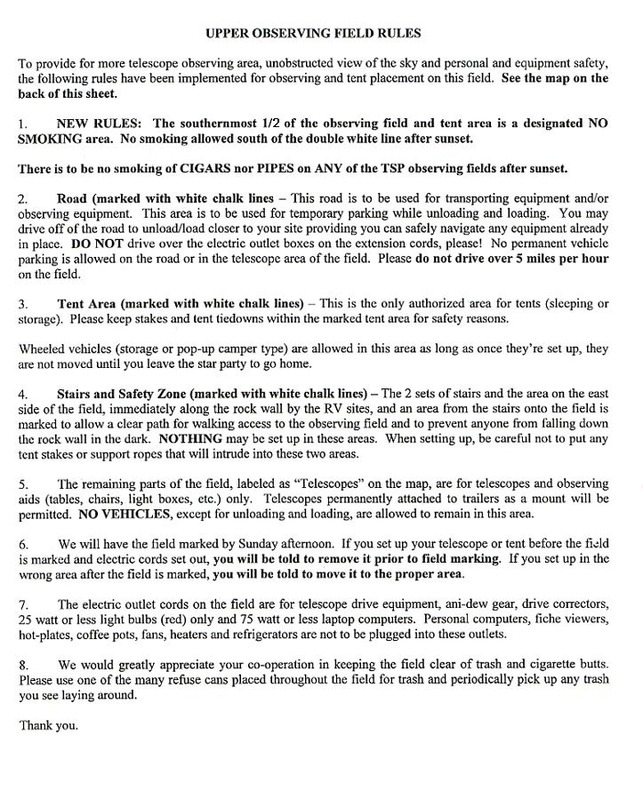 Upper field Rules, if you decide to camp or observe here! 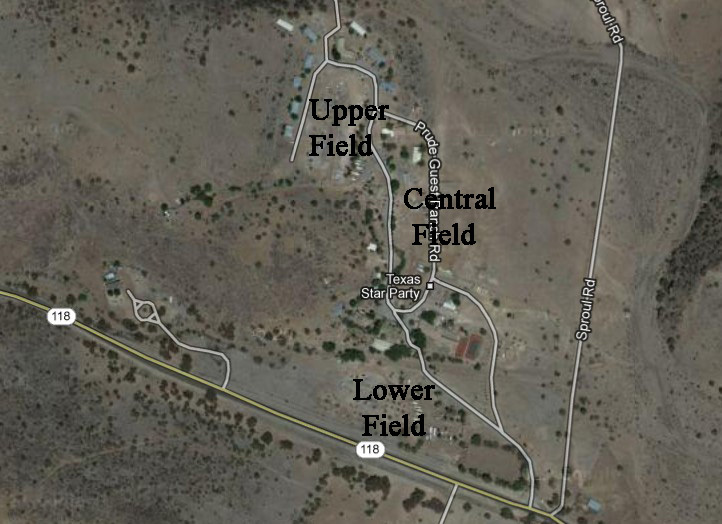 Prude Ranch provides Internet Access for attendees in some public areas and near some housing. DO NOT expect to have access to internet in the observing fields, altho there may be some incidental coverage from nearby equipment. The front gates will be locked after 9:00 PM. 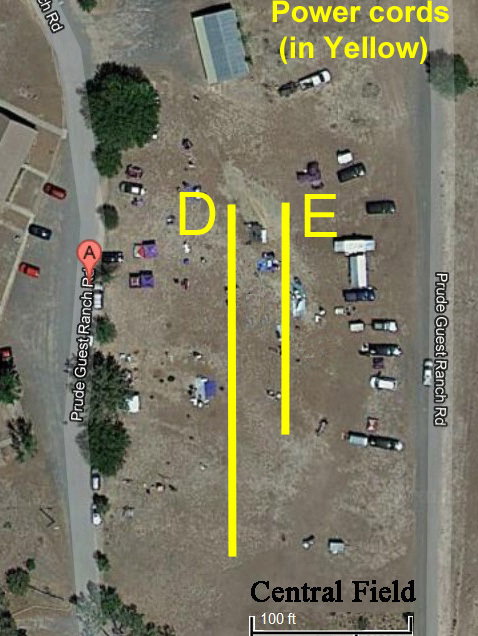 If you are staying off-site, please park your car outside the gates before dark! No music speakers, except for headphones. Keep your speakers at home.